VANCOUVER – A promised “review” of natural gas industry fracking operations should be broadened to a full Public Inquiry that examines all aspects of the dangerous gas extraction technique, says a coalition of community, First Nation and environmental organizations. Escalating water usage by fracking companies. Poor or misleading consultations with First Nations. Widespread industry non-compliance with relevant provincial water laws through the construction of dozens of unlicensed dams. Record-setting induced earthquakes at BC fracking operations. “We believe that the NDP’s campaign promise to appoint a scientific panel to review fracking won’t be enough to fully address the true risks of deploying this brute-force technology throughout northeast BC. Current realities dictate that we need a wide-ranging, public inquiry,” says Ben Parfitt, a resource policy analyst with the Canadian Centre for Policy Alternatives, one of 17 groups making today’s call. The groups say a comprehensive examination of fracking is essential and that a broad formal Public Inquiry or Commission of Inquiry is necessary to investigate all the risks and harms associated with it. The Inquiry must address whether or not provincial agencies adequately oversee fracking operations, ensuring that companies comply with existing laws and regulations, safeguard public health, and protect the environment. The Inquiry must have powers and sufficient funds to compel legal testimony, commission professional research, and hold public hearings across BC. Hydraulic fracturing or fracking involves pumping large volumes of water under intense pressure below ground to free gas trapped in tight rock formations. In August 2015 a 4.6 magnitude earthquake — the largest ever induced by a fracking operation — occurred in northeast BC when 422 million gallons of water was pumped underground at one gas well. The amount of water used was more than eight times greater than that used in the average fracking operation in the United States. Recently, the Canadian Centre for Policy Alternatives reported on a major regulatory breakdown as fracking companies rushed to build dozens of unlicensed dams for use in their water-intensive fracking operations in northeast BC. Have natural gas companies and provincial regulators appropriately consulted with First Nations about the ongoing cumulative impacts of fracking industry activities on their traditional lands, as required by law and the UN Declaration on the Rights of Indigenous Peoples? 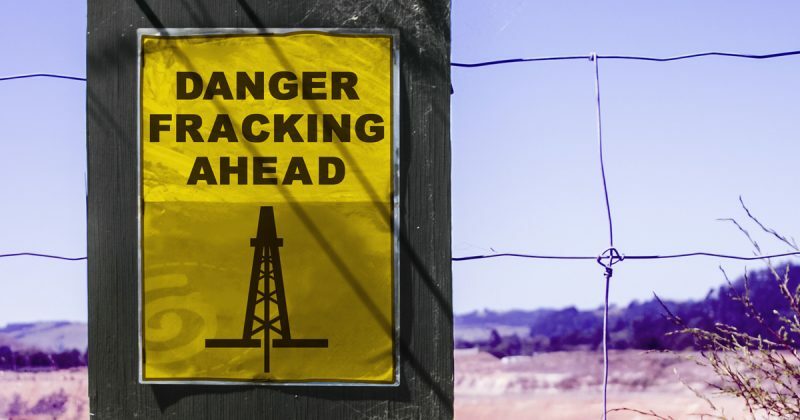 What is the true extent of public health and safety risks associated with fracking? What risks does fracking pose to the environment and water resources in particular? What threats does fracking pose to critical infrastructure? How much more will BC’s greenhouse gas emissions climb as a result of methane emissions if more gas is drilled and fracked? Does BC’s Oil and Gas Commission adequately monitor the fracking industry, ensuring that it complies with all relevant laws? Is it transparent and does it keep the public fully informed? The previous government ignored a call for such an inquiry in 2011. Add your voice to the call for a public inquiry. Shannon Daub co-directs the Corporate Mapping Project, which is jointly led by the University of Victoria, Canadian Centre for Policy Alternatives and the Parkland Institute. This research is supported by the Social Sciences and Humanities Research Council of Canada.